Paint-Your-Own! 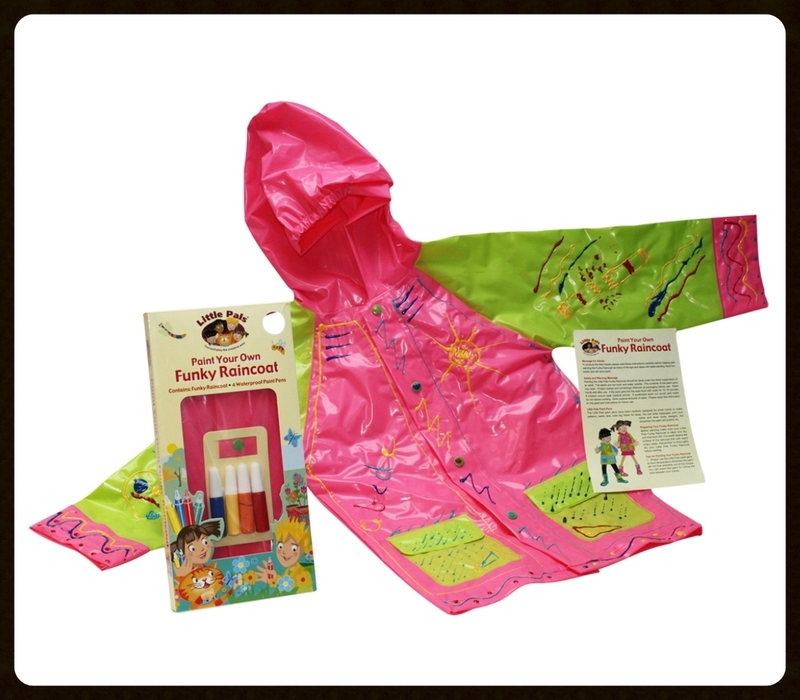 Create your own design on these bright pink and green wellies and raincoats. Simply use the special, waterproof paint pens to paint on funny faces and pictures, or even write messages, names, or groovy patterns! Kids can stay dry while showing off their own artwork! Kit includes raincoat, four paint pens, and simple step-by-step instructions. One size: ages 3 to 5. Measures: 12.2"L x 6.3"W x 1.2"D; 0.7lbs. Go ahead and jump in the puddles! Stay warm and dry with these fun and functional paint-your-own wellies. Pack contains pair of rubber wellies, six paint pens (yellow, orange, red, blue, pink, and turquoise), and simple step-by-step instructions. Available in 3 sizes in each color: US Kids Size Small (9.5), Medium (11.5), and Large (13.5).